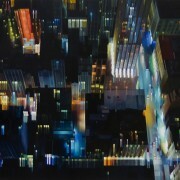 In a startling variety of ways, contemporary artists are exploring the relationship that our species has to its planet. We have aggregated some of this very intriguing work below. If you have suggestions for works to add to the gallery, please contact us. Works can also be viewed in portfolio view. 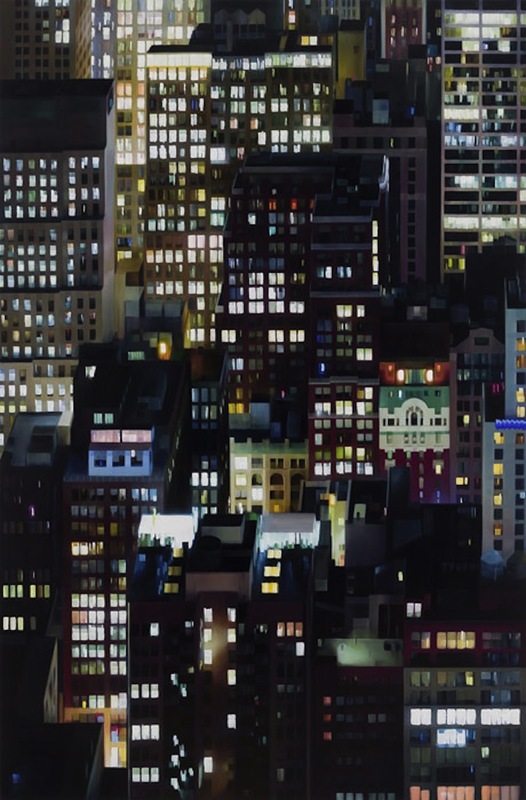 A New York-based artist, Alexandra Pacula’s collection Luminous Heights features rare and stunning cityscape paintings of New York City, with a bit of a twist. 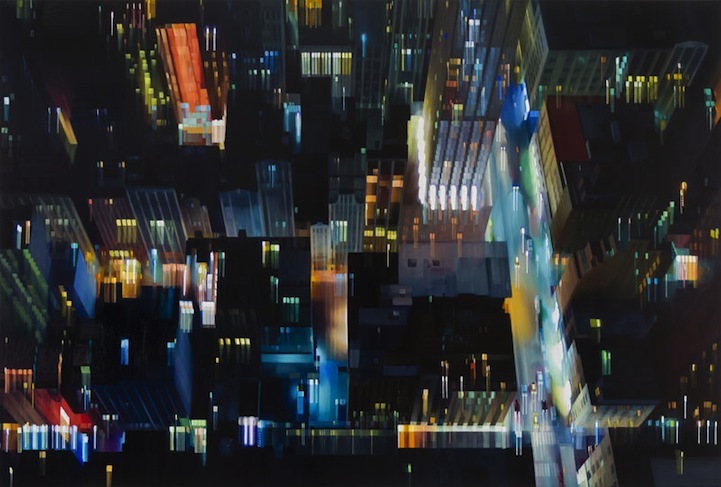 The artist beautifully blurs city lights from buildings, street lamps, taxi cabs, and bridges to create an abstract portrayal of the urban environment from various perspectives. (source). Kinetic sculptor Anthony Howe has created a number of new kinetic artworks. The artist works with specialized software to first mockup each piece digitally before fabricating the individual components from metal. The motion you see is generated completely by the wind, with even the slightest breeze setting the dozens of rotating components in action. (source).